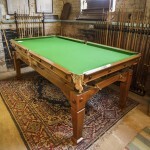 Antique Snooker Dining Tables (convertible) | Browns Antiques Billiards and Interiors. 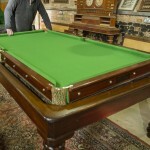 Welcome to our antique snooker dining tables page. 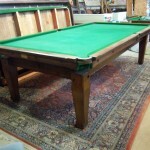 We stock convertible snooker diners in sizes ranging from 6ft up to 9ft long. 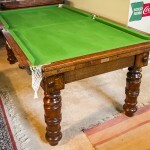 An antique snooker dining table converts from dining table to snooker/billiards table quickly and easily. 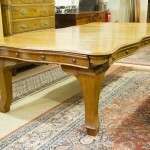 We generally restore these antique tables to order, taking the customer’s preferences into account. 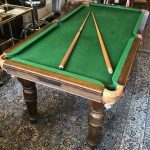 All of our antique snooker dining tables are sympathetically French polished, cushions are re-rubbered and bedcloth replaced. The price includes a free ‘starter kit’ of cues, balls, rules, triangle and chalk.